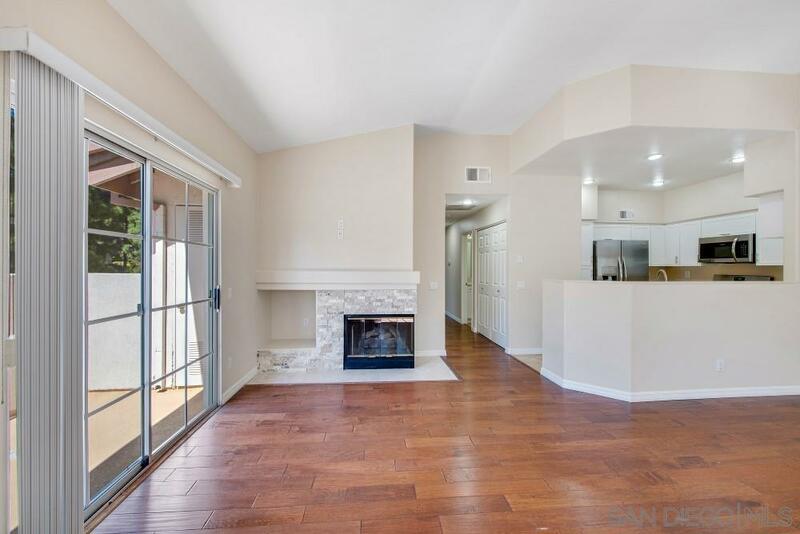 Fabulous upgraded condo in desirable Carmel Mtn Ranch! The recently updated kitchen features new white cabinets, quartz counters, new stainless steel appliances. Other features include updated bathrooms, new carpet, wood flooring, attractive stone fireplace, lovely view from the living room balcony, corner location for lots of light. Collage features 2 pools, BBQ area, & tot lot. Conveniently located near shopping, restaurants, schools, parks, both 15 & 56 freeways & within Poway Unified School District.